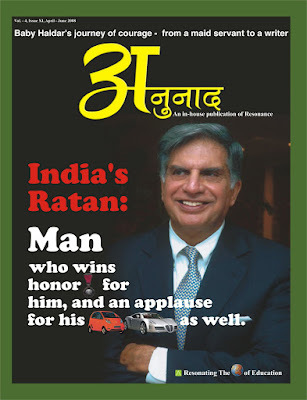 Ratan Tata was awarded PadamVibhushan, The second highest civilian award on 25 January 2008 not merely because of Nano, rupees 1lakh car but because of his social concern and also his contribution for the social uplift of the countryman. Indeed the Nano is a font of innovation, generating as many as 40 new patents for Tata motors. The elegance of the packaging makes Ratan’s car a big draw. He him self believes that Indian Engineers delivered on a goal believed to be impossible. Born on December 28, 1937, in Bombay, Ratan Tata is the present Chairman of the Tata Group, India’s largest conglomerate established by earlier generations of his family. He was born to Soonoo & Naval Hormusji Tata, Gujarati-speaking Parsi family and is the great grandson of Tata group founder Jamsetji Tata. Ratan’s childhood was troubled, his parents separated in the mid-1940s, His mother moved out and both Ratan and his brother were raised by their grandmother Lady Navajbai. He did his schooling from Campion School, Mumbai. In 1962, he graduated from Cornell University with a Degree in Architecture and Structural Engineering and after that Management Degree at Harvard University. He is not where he is by design. Having studied architecture he may have remained an architect, regardless of his surname. But his grandmother fell seriously ill and he kept coming back to India to see her. One thing led to another and he stayed back. Ratan Tata had a short stint with Jones and Emmons in Los Angeles, California, before returning to India in late 1962. In India Ratan turned down a job offer from IBM, following the advice of J.R.D. Tata, and entered the family business. 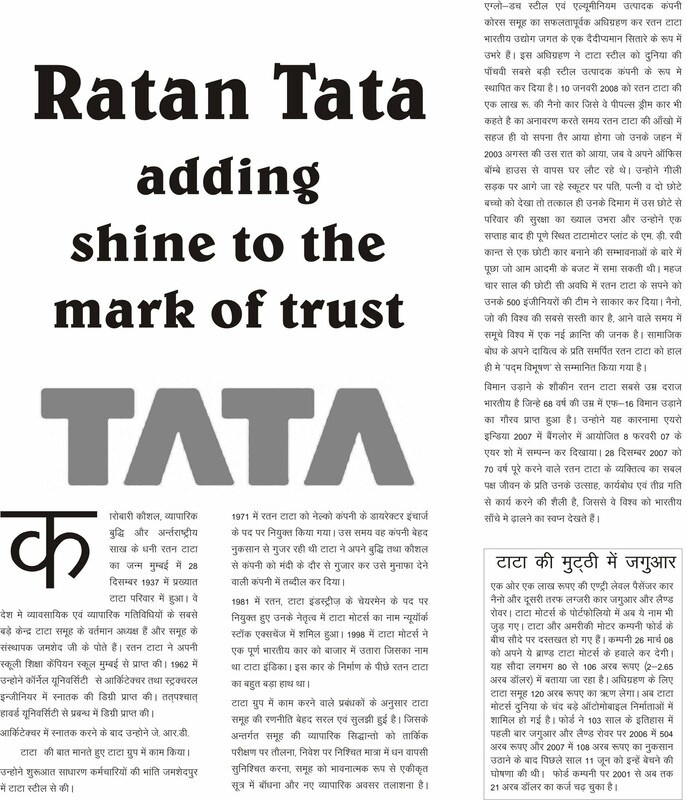 Ratan joined the Tata Group in December 1962, when he was sent to Jamshedpur to work at Tata Steel. He worked on the floor along with other blue-collar employees, shoveling limestone and handling the blast furnaces. In 1971, Ratan was appointed the Director-in-Charge of The National Radio & Electronics Company Limited (NELCO), a company that was in dire financial difficulty. 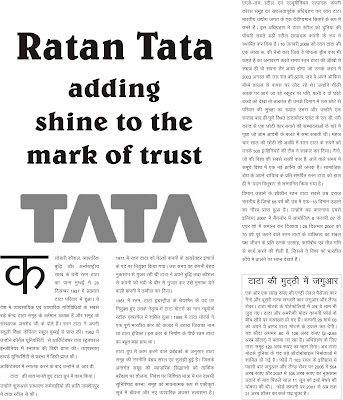 Ratan suggested that the company invest in developing high-technology products, rather than in consumer electronics. Ratan Tata turned NELCO into a profit churning company. In 1977, Ratan was entrusted with Empress Mills, a textile mill controlled by the Tatas. When he took charge of the company, it was one of the few sick units in the Tata group. Later on Ratan turned it into a dividend declaring company. Ratan Tata was appointed as Chairman of Tata Industries in 1981. He was assigned the task of transforming the company into a Group strategy think-tank, and a promoter of new ventures in high technology businesses. In 1991, Ratan Tata took over the Chairmanship from JRD Tata. Under him, Tata Consultancy Services went public and Tata Motors was listed in the New York Stock Exchange. In 1998, Tata Motors came up with Tata Indica, the first truly Indian car. The car was the brainchild of Ratan Tata. On 31 January 2007, under the chairmanship of Ratan Tata, Tata Sons successfully acquired Corus Group, an Anglo-Dutch steel and aluminum producer. Now Tata can produce raw steel at low cost in India, and then ship it to Corus’ first-rate mills in the West to make finished products. With the acquisition, Ratan Tata became a celebrated personality in Indian corporate business culture. And the unveiling of Nano on 10 January 2008 is a testimony to Tata’s engineering, designing and frugal manufacturing skills with which he intends to move the world. Creating history, Ratan Tata on 26 March 08 acquired luxury auto brands Jaguar and Land Rover from Ford Motors for $ 2.3 billion, stamping their authority as a takeover tycoon, beating compatriot Mahindra and Mahindra for the prestigious brands, just a year after acquiring steel giant Corus for $12.1 billion.